A few months back I interviewed the director and cast of THE GREATEST SHOWMAN about the story-line, music and more behind the film. We also discussed racism, discrimination and the interracial love story. Now that The Greatest Showman has been released on Blu-ray and DVD, I wanted to share more about these issues since it makes a powerful point in the film. Note: I was invited as media to the movie screening and press junket by 20th Century Fox. However any personal views expressed are always 100% my own. When I interviewed director Michael Gracey, I asked him about bringing in the racism tie-in into the storytelling on the life of P.T. Barnum. I was really curious why and how he actually wrote that in, because, I mean, it fit but it didn't fit. Michael Gracey: Well, I did a lot of reading, when we started working on this project, and so did Hugh. And we read a lot of books about the life of P.T. Barnum, and he rewrote his own history multiple times. And he was a very flawed character, you know? But something that I found really fascinating was his support of civil rights, and he was a huge advocate. And I really wanted to reflect that in the film. At the time, seven years ago, I thought it was still relevant to this day. And sadly, it became increasingly relevant over the seven years of developing it. Michael Gracey: And then, I cast Zendaya, who--I just find her incredible, but she had a lot to say about her own experience with mixed race parents. And so, I think it was a combination. It was a combination of writing the character, of casting Zendaya, writing more with her in mind. So, that's kind of how the evolution of that love story came about. 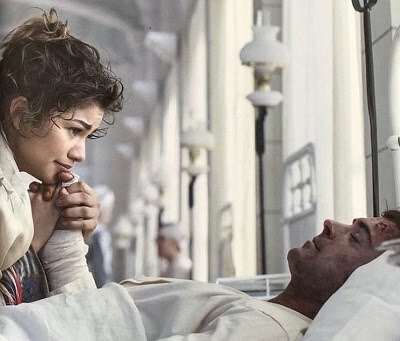 Speaking of Zendaya, her character Anne love story with Phillip (Zac Efron) brought so much to the THE GREATEST SHOWMAN so it was great to have them share more about it. 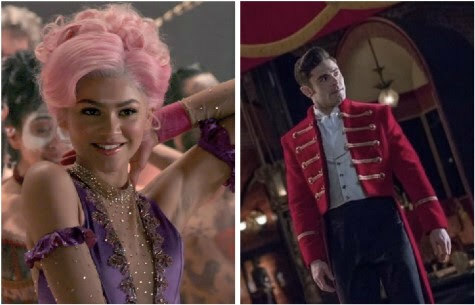 Zac Efron plays Phillip Carlyle, the sophisticated man of the theatre who quits his upper-crust life to join the circus – and becomes Barnum’s ringmaster protégé; and Zendaya plays Anne Wheeler, the daring, taboo-breaking, pink-haired aerialist for whom Carlyle falls headlong. Zendaya was drawn to the love story, because it was honest about the obstacles inter-racial lovers faced for so long in America. “It’s tragic that Anne and Phillip’s can’t love each other in the way they long to literally due to the color of their skin,” Zendaya says. For Efron, Carlyle’s first experience in Barnum’s circus is one of a man having the haze lifted from his eyes. In Wheeler, Carlyle sees someone brave and thrilling, but the fact that she is African-American puts their love in a prohibited zone at the very start. Says Efron: “Although Phillip’s feelings for Anne are completely real and justified, they’re also forbidden by society at that time and it’s really sad. That was a very different time -- though even today, social boundaries and differences go on preventing love and preventing people from uniting with one another. One of the more romantic songs is “Rewrite The Stars,” a duet between Efron and Zendaya. “That moment is about Phillip’s decision to leave behind the rules of upper-class society and pursue Anne. He’s saying to her the rules don’t exist anymore for me anymore and can’t you dream this with me? 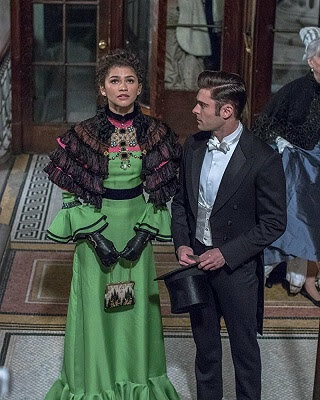 Though Efron has some movie musical chops, he notes that the dancing he and Zendaya do on The Greatest Showman was on another level. “This was some of the most technical choreography I’ve ever attempted in my entire life,” he confesses. Zendaya for her part dove into training, spending months working with professional aerialists, gaining upper body and core strength and taming fear. “My body has been through a lot, and I’ve had lots of bruises and soreness to show for it,” she laughs, “but it’s been so worth it, especially seeing Michael’s vision come to life. I never in my entire life thought that I would be flying around in the air but I’m very proud of myself, because I tried my best and came way out of my comfort zone. Now, I’m no longer afraid of heights! 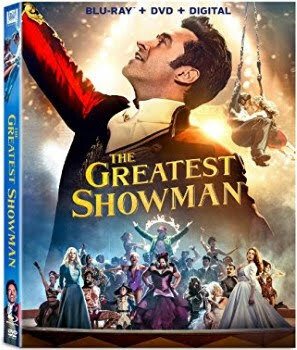 20th Century Fox’s musical THE GREATEST SHOWMAN is available on 4k Blu-ray, Blu-ray, DVD and Digital formats. "The Greatest Showman” is a bold and original musical that celebrates the birth of show business and the sense of wonder we feel when dreams come to life. Inspired by the ambition and imagination of P.T. Barnum, “The Greatest Showman” tells the story of a visionary who rose from nothing to create a mesmerizing spectacle that became a worldwide sensation. Starring Academy Award nominee Hugh Jackman. Jackman, Zac Efron, Academy Award nominee Michelle Williams, Rebecca Ferguson and Zendaya.